Arsenal are currently facing an injuring crisis ahead of the London Derby with Premier League champions, Chelsea at the Emirates Stadium on Wednesday. The Gunners are likely to be without the services of key trio ahead of Chelsea’s visit with Laurent Koscienly and Sead Kolasinac limbing off in the controversial 1-1 draw with the Baggies at the Hawthorns on New Year’s Eve and influential midfielder, Mesut Ozil is still a doubt having missed the game against the Baggies due to injury. The Gunners growing injury list is alarming with Nacho Monreal, Aaron Ramsey, Olivier Giroud, and Santi Cazorla still out injured, Arsene Wenger might be forced to sign one or two players this winter transfer window in other stay in touch with his rivals as they race for the top four gets tougher. Wenger has ruled out a potential move for Chelsea out-of-favor star, David Luiz in the winter transfer window ahead of the Blues visit. 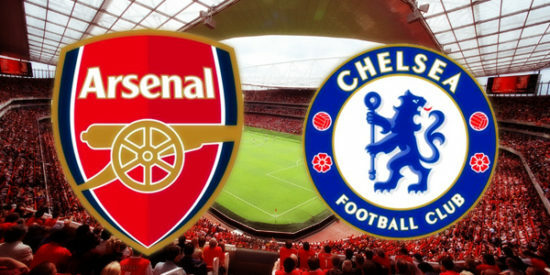 However, the Blues are in high spirit ahead of their trip to the Emirates on Wednesday after putting five past a struggling Stoke City side at the Bridge and are currently undefeated in 13 Premier League games but the Blues impressive form will face a stern test against the Gunners have failed to win against the Gunners in their last three attempts in all competitions.